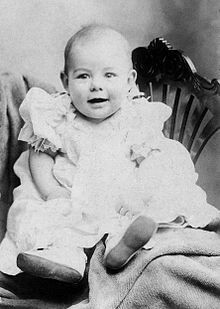 Ernest Hemingway was born July 21, 1899 in Oak Park, Illinois. 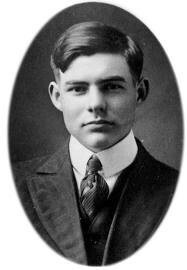 He had two well-educated parents; Clarence and Grace Hemingway. He attended Oak Park and River Forest High School from 1913 until 1917. He played football, track and field, water polo, and boxed as well. He was mediocre at these sports but made heroic stories about them. 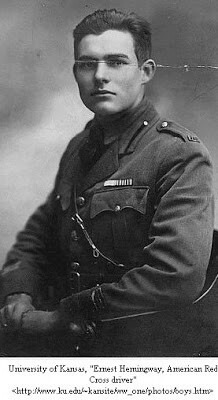 Hemingway enlisted in the Army but was not allowed in because of his poor eye sight. He became an ambulance driver in Italy but snuck off to participate in the war. He became injured and returned home. He became interested in journalism.